Movistar's Mikel Landa is set to return to racing next week after finishing his recovery from the fractures he sustained at San Sebastian. The Spaniard was involved in a last kilometre crash in the peloton at the Clasica San Sebastian, in which Egan Bernal was also seriously hurt, and was diagnosed with a fracture on the spinous process of his lumbar vertebra L1 and a "non-displaced rib fracture on his right-hand side." A month and a half after the crash and after overcoming the disappointment of missing the Vuelta a España, in which he was going to be one of the team's leaders, the rider is set to return to action. 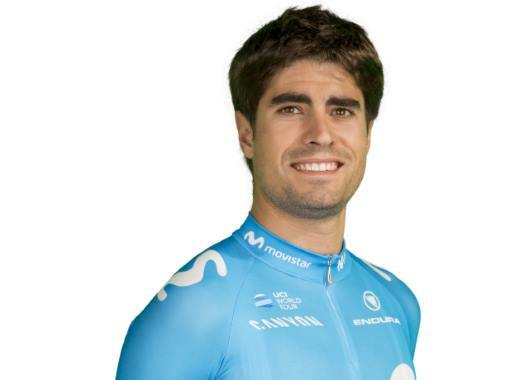 Movistar has confirmed that Landa will start at the Giro della Toscana and the Coppa Sabatini in Italy. The rider is still part of the long list of Spain for the World Championships and he will have the last word about his participation on the road race event.